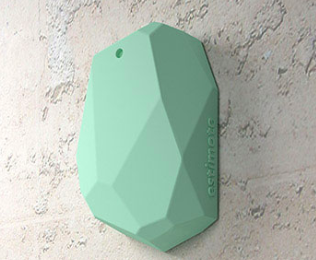 Estimote is probably the most recognized beacon hardware company in the marketplace. Their early-mover advantage and superlatives in design have raised their profile above a gluttony of bluetooth hardware companies. But as proximity insiders know, success with beacons is not simply based on the hardware. First the adoption question: What’s been holding beacons back from breaking through to the mainstream and what factors will push them past the tipping point? At Estimote, we struggled with why everyone thought that they could just place [a beacon] and it was going to work. I finally figured out why: It’s because beacons started as an Apple thing, and nearly everything Apple does is a finished consumer product that works perfectly right out of the box. iBeacon wasn’t like that; it was a developer framework that required developers to learn how to use it, build security around it, and deploy it at scale. There was never an unboxing moment where there was this technology you could place on the wall and it was going to skip five steps and solve some problem. 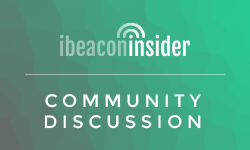 Countless times in the past 18 months, we’ve seen buzz for beacon programs that simple aren’t reaching people at scale. As the testing phase wraps up and companies recognize the real impact of proximity, scale will become an even bigger priority. The suppliers have to be in for the long haul and in this respect Estimote is right it isn’t a slam dunk! The key issue we have seen is accuracy during testing. We have been less concerned about hacking to date. We anticipate that the industry will resolve the security issues (there are many engineers with good experience in these areas) but few engineers are able to work on the accuracy issues because they just don’t understand the underlying root cause. Location detection accuracy using Beacon technology and RSSI and methods such as triangulation and trilateration are defeated by inappropriate hardware, RF multipath, RF losses in the environment and incorrect installation; no amount of software tweaking on its own will resolve this but software does have a part to play. Proximity detection suffers the same RF issues too with soft detection regions that can’t be well defined or generally shaped beyond a simple dome. However with careful hardware amendments and detailed attention to end user installation, accuracy can be achieved. Hence Beacon technology can be made to work better but it’s not as trivial or as inexpensive as it has been portrayed to be so far. We have spent a number of years quietly working through a solution and have now filed a patent to address these issues and provide a far more accurate mobile device location detection solution. The perception must be set with developers and users that accuracy can be done well with Beacon technology but the cost floor is well above what they have been used too.